A ClearBags customer since 2004, Hammerpress is a letterpress print shop and design studio located in Kansas City, MO. 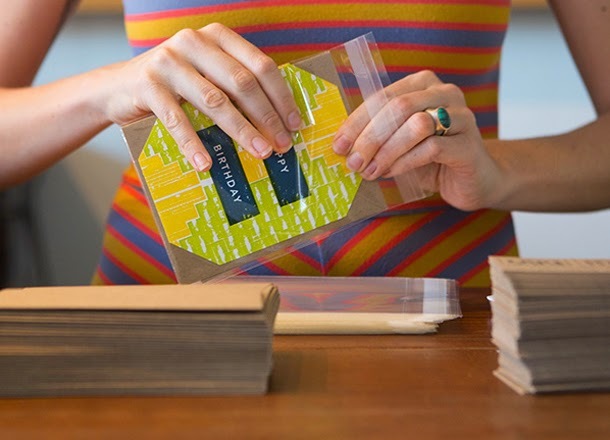 Hammerpress' most popular products are their letterpress greeting cards, which are packaged in ClearBags corn-based Eco Clear Bags. Hammerpress was established in 1994 by Brady Vest. Over the past 20 years, Vest has grown his business to a team producing lovely letterpress products in their Crossroads Arts District studio. Hammerpress products also include letterpress postcards, prints, stationery and calendars. Their store front is a hand-crafted retail space with an offering of letterpress products alongside a curated selection of home goods, supplies, and accessories.